Social media fails on Martin Luther King Day. Twitter to highlight diversity of users. These stories, and more, in today's Morning Social Media Newsfeed. Monday’s somber moment of viral exploitation? 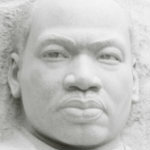 #Happy MLK Day – the federal holiday created in honor of Martin Luther King Jr., one of the most influential civil rights leaders in U.S. history. Here are this year’s winners of the most inappropriate attempts at viral success. 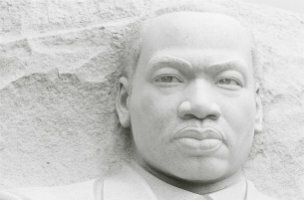 USA Today Stars from all over the entertainment industry honored King and wished followers a happy MLK Day on Twitter. They included Justin Bieber, Jamie Foxx and Lenny Kravitz. CNN Former Alaska Gov. Sarah Palin reposted a quote from King’s famous “I Have A Dream” speech – and took a swipe against President Barack Obama at the same time. “Mr. President, in honor of Martin Luther King Jr. and all who commit to ending any racial divide, no more playing the race card,” she said in a Facebook post Monday. RT The United States Marine Corps was forced to apologize over the weekend after social media accounts administered by the Armed Forces branch published an off-color remark about King. Ahead of the federal holiday held each January in honor of King, the Marine Corps Special Operation Command sent a message early Friday over both Twitter and Facebook in which a gunman in full military garb is seen aiming his assault weapon out of an open window. KTLA The owner of a Michigan party space canceled a controversial twerking event after the promoter created flyers showing an altered image of King wearing a gold chain and flashing what appeared to be a gang sign. The event, dubbed the “Freedom 2 Twerk” party was set to be held at Flint’s Social Network Event Center ahead of the MLK holiday. For most of its rather short life, Twitter rarely mentioned that its user base is more racially diverse than U.S. Internet users as a whole. Now, as a newly minted public company needing to generate revenue, it is moving to capitalize on its demographics. In advance of the premier of season 13 of American Idol, AT&T has announced that it is closing out its sponsorship deal with the show. Less than a year ago AT&T told Variety “American Idol” is the ultimate wish fulfillment show, and remains a powerful platform for AT&T to connect directly with our customers,” so what changed? The decline of texting happened. According to new data from analytics firm comScore, Yahoo had more than 195 million unique U.S. visitors from desktop computers in December — that puts the site ahead of Google, Microsoft and Facebook for desktop traffic. Of social media sites, Facebook ranks the highest — taking the fourth spot overall with more than 140 million unique visitors. Most fans will never get to attend the Super Bowl, but Wilson, which makes the game balls for the National Football League, is giving fans who follow Wilson Football on Instagram the chance to have their names sewn into official game balls to be used during Super Bowl XLVIII. Wilson announced on its Facebook page that it will randomly select 10 of its Instagram followers at 12:01 a.m. ET Tuesday, and it will announce the 10 winners at noon. The Syrian Electronic Army isn’t much a fan of Microsoft it seems. After compromising Microsoft social accounts, and one of its blogs, the group Monday defaced the company’s Office Blog, directly following a redesign of the property.